Material type: Continuing resource; Format: print Publisher: Bromma MotoPress 1997-Availability: Items available for loan: Katrineholms bibliotek [Call number: Prab(p)] (8). Items available for reference: Katrineholms bibliotek (1). Material type: Continuing resource; Format: print Publisher: Eksjö Race 2001-Other title: Race magazine.Availability: Items available for loan: Katrineholms bibliotek [Call number: Rbfb(p)] (14). Material type: Continuing resource; Format: print Publisher: Solna Caravan Press 1976-Other title: 2001: nr 1 Husvagn & camping.Availability: Items available for loan: Katrineholms bibliotek [Call number: Qm(p)] (13). Material type: Continuing resource; Format: print Publisher: Eskilstuna Veteranförlaget 1994-Other title: Classic motor.Availability: Items available for loan: Katrineholms bibliotek [Call number: Prab(p)] (12). 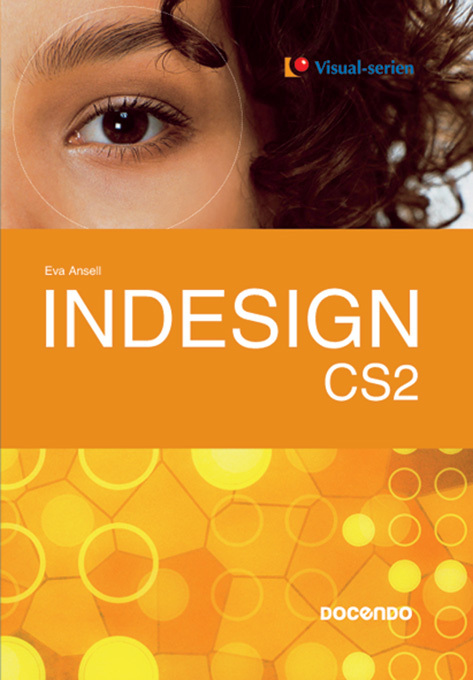 Indesign CS2 [Elektronisk resurs] / Eva Ansell. Material type: Book; Format: electronic available online ; Literary form: Not fiction Publisher: 2006Publisher: Sundbyberg : [Lund] : Stockholm : Docendo ; [Btj [distributör] ; [eLib [distributör]], Online access: Omslagsbild | Låna från ditt bibliotek. Lånekort krävs. Availability: Items available for loan: Katrineholms bibliotek [Call number: Hc/mp3] (1). Material type: Continuing resource; Format: print Publisher: Malmö Fogtdals 1984-Availability: Items available for loan: Tallås bibliotek [Call number: U(p)] (9). Material type: Continuing resource; Format: print Publisher: Stockholm Specialtidningsförlaget 1948-Availability: Items available for loan: Duveholms bibliotek [Call number: Prab(p)] (24). Material type: Continuing resource; Format: print Publisher: Malmö Fogtdals 1984-Availability: Items available for loan: Duveholms bibliotek [Call number: U(p)] (19). Material type: Continuing resource; Format: print Publisher: Stockholm Specialtidningsförlaget 1948-Availability: Items available for loan: Duveholms bibliotek [Call number: Prab(p)] (22). Material type: Continuing resource; Format: print Publisher: Billingstad Publish -Availability: Items available for loan: Katrineholms bibliotek [Call number: Paa(p)] (11). Material type: Continuing resource; Format: print Publisher: Stockholm Specialtidningsförlaget 1948-Availability: Items available for loan: Katrineholms bibliotek [Call number: Prab(p)] (26). Material type: Continuing resource; Format: print Publisher: Stockholm IDG 1997-Availability: Items available for loan: Katrineholms bibliotek [Call number: Pua(p)] (13). Material type: Continuing resource; Format: print Publisher: Malmö Fogtdals 1984-Availability: Items available for loan: Katrineholms bibliotek [Call number: U(p)] (18), Duveholms bibliotek [Call number: U(p)] (1). Material type: Continuing resource; Format: print Publisher: Solna OK förlaget 1975-Availability: Items available for loan: Katrineholms bibliotek [Call number: Prab(p)] (17), Björkviks bibliotek [Call number: Prab(p)] (5). In transit (1). Material type: Continuing resource; Format: print Publisher: Stockholm Ingenjörsförlaget 1967-Availability: Items available for loan: Katrineholms bibliotek [Call number: P(p)] (24).